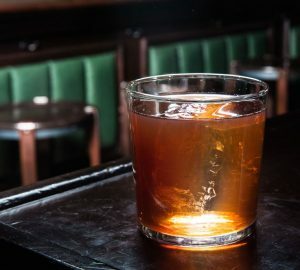 Two bartenders and a barista lay down the foundations for a new way to pretty up drinks. 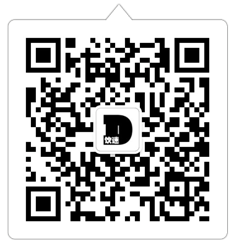 By Lynette Ding and Natasha Hong. We see you, behind the bar, when you get all chuffed making hearts by sliding a toothpick over a few dots of Angostura bitters. 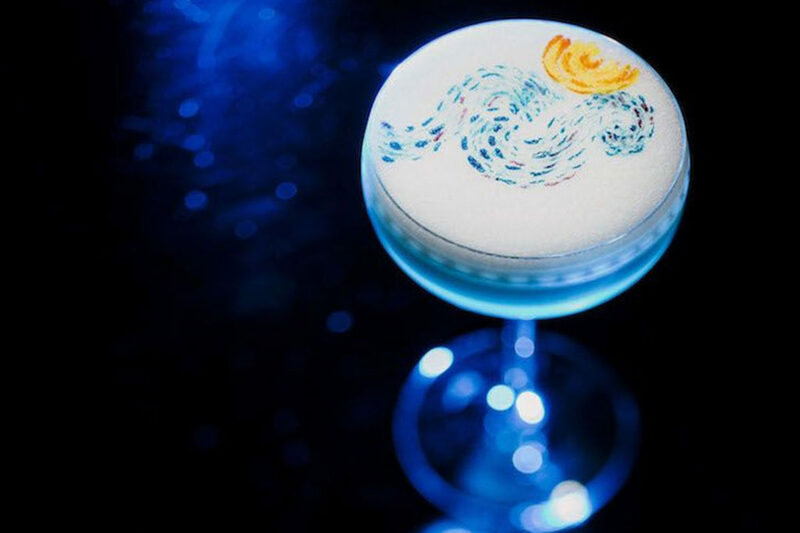 Lately though, two bartenders and a barista have turned the foam crowns of their drinks into canvases for art, and it’s giving their guests even more reason to capture their creations in an Instagram photo (or ten). The good news is that even if you’re usually useless at art, one of our drink artists has offered up a simple trick to help give your cocktails a painterly look. 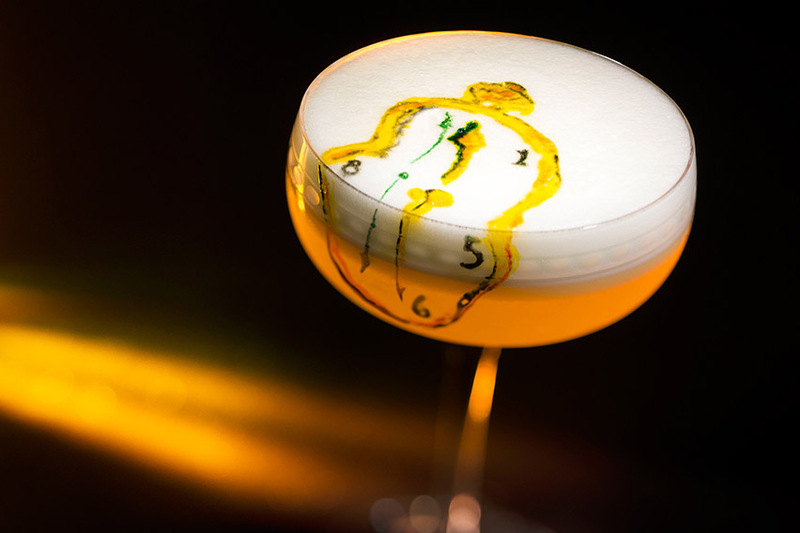 We first saw signs of this bartender-as-Picasso garnishing trend last year, when The Artesian at The Langham Hong Kong’s Rajendra “Rush” Limbu designed a limited edition series of cocktails inspired by iconic artworks to celebrate Art Basel Hong Kong. Poking edible dye with toothpicks into egg white foam, he drew on tricky patterns like the swirly clouds of Vincent van Gogh’s Starry Night, the melted clock of Salvador Dali’s The Persistence of Memory and the clean lines and colour blocks of Piet Mondrian’s Tableau I. 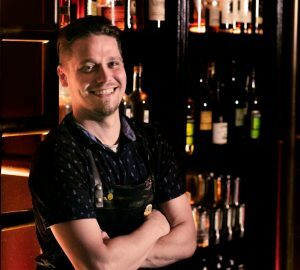 Operationally, these masterpieces took longer to make than a standard drink, so to keep up with the demand, the bar made the drinks limited edition and a reservation-only item on the menu. 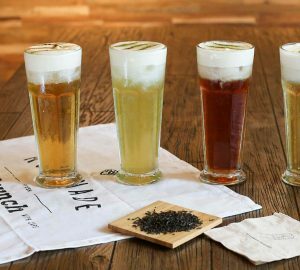 One other way that a drinks craftsman is making canvasses out of a crown of foam is Seoul-based barista, Lee Kang-Bin. 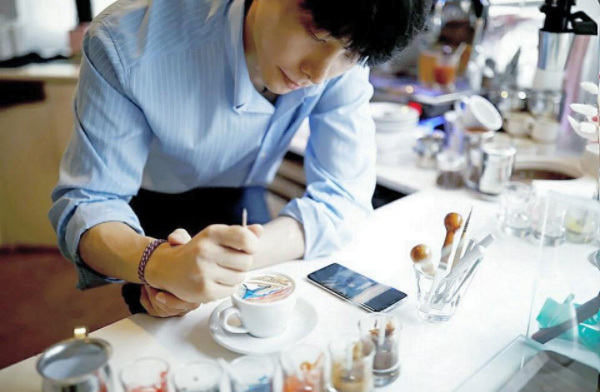 The man’s garnered plenty of press recently for his “CreamArt” creations, the complex artwork he’s laid on top of cappuccinos at C Through, his cafe in the South Korean capital. To give him plenty of time to paint on his elaborate drawings, he froths cold cream for a stable texture to work on. 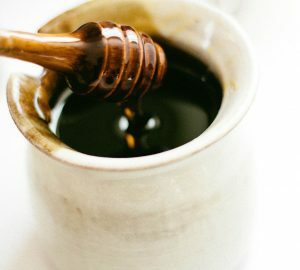 For colour, Lee’s honed his skills over time to discover which syrups, food colourings and sweetened powders work best, and will still taste cohesive in a cup when sipped down with cream and coffee. Using little cups as his palette, he daubs, swirls and swipes on his works using tools like a mini spoon, ice pick and even a nail dotting tool for his lines and swashes. 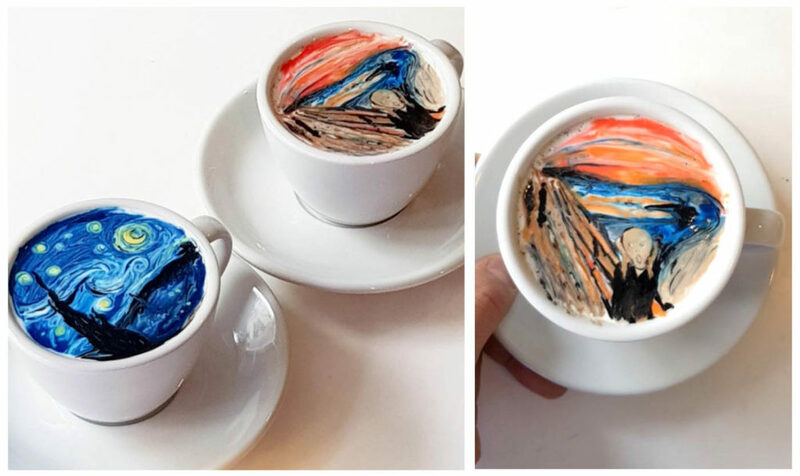 The barista actually hasn’t trained to be a painter, but practice has made him better at his craft. Simpler works like his bear design can usually be painted on in just a minute, but those cappuccino-sized versions of world-renowned masterpieces like Edvard Munch’s The Scream can take him up to an hour to complete, so for now, he’s limiting reservations for his CreamArt cups to just three orders a day. 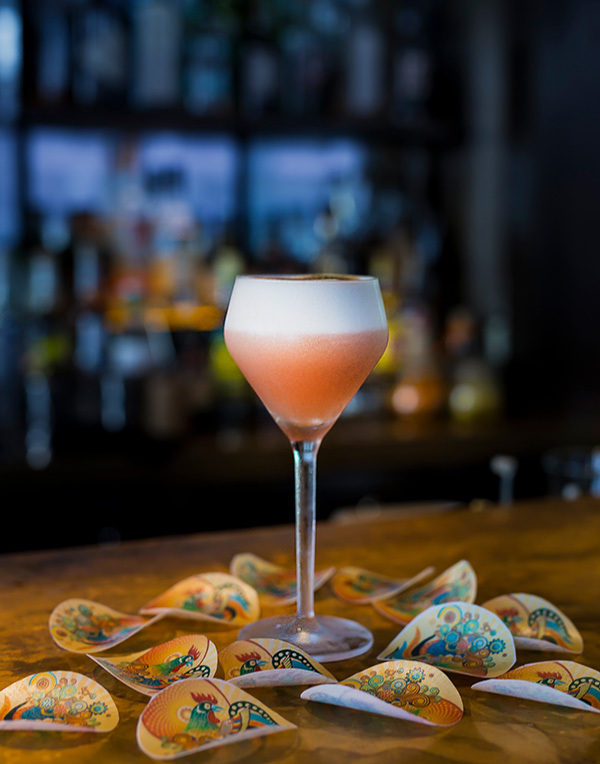 If you’ve picked up a copy of our latest Issue 06, then you must have spotted the beautiful stylings of Aqua Hong Kong’s cocktail, Rooster Me Luck. 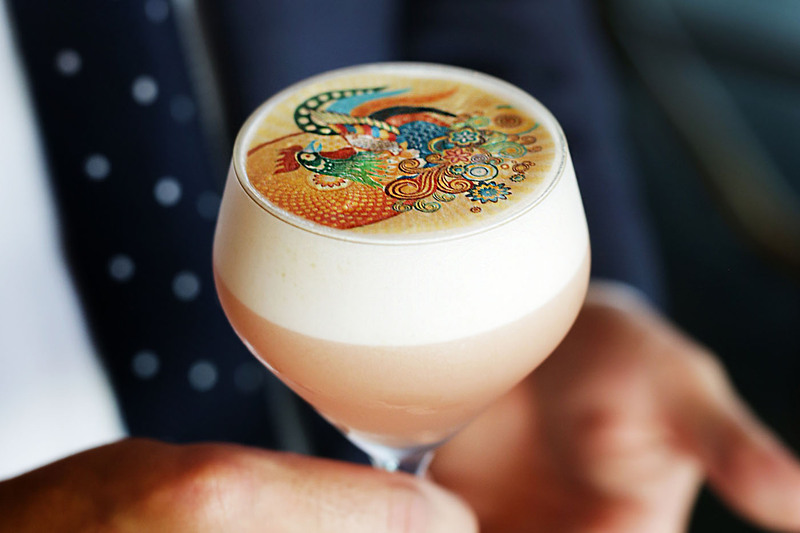 Laid carefully on top of a layer of egg white foam is an intricate pattern of swirls and colour using a method devised by bartender Simone Rossi. This is one way you can quite easily nail this trend in your bar, even if you failed art back in your school days. 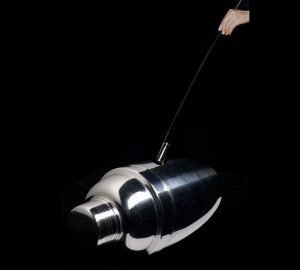 To achieve the effect, the Italian barman first asked his local cake shop if they could print a design on cake icing, “but it melted too easy,” said Rossi. “Then we discovered rice paper can be printed on and eaten.” So the bar invested in a printer and edible ink cartridges to print an illustration on rice paper. So there you have it. Three easy ways – OK, one easy and two painstaking ways – to turn your drinks into legitimate masterpieces. 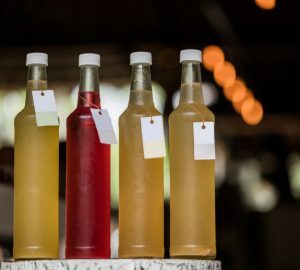 We’re all too aware of the positive impact that a good social media photo can mean for drink sales, so a good looking drink, quite easily executed, can only mean good things for your bar.